Swedish Västervik engine with 1 cylinder, 2 stroke producing 4 HP. 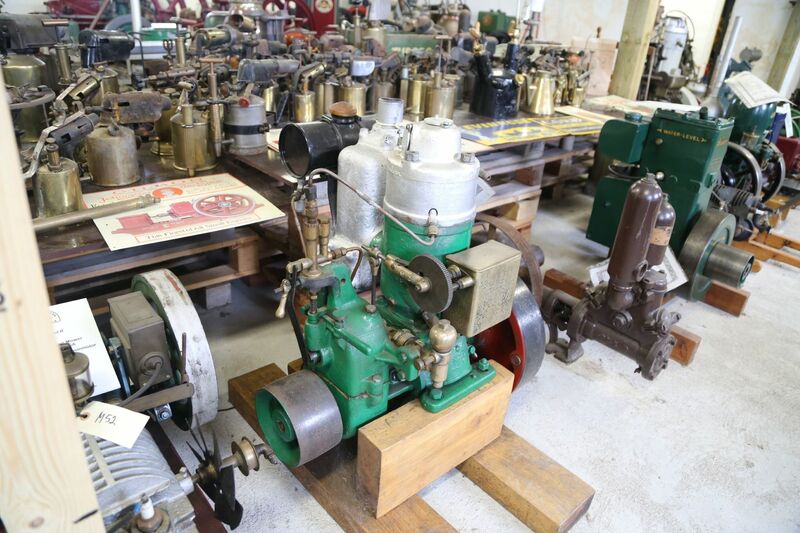 This tall engine has 1 wheel with belt drive and lots of nice brass features and fittings. In good condition and mounted on a custom frame.